Fort Worth, Texas – September 13, 2018 – No retail middlemen and no retail mark-up is the engine of a unique direct-to-consumer business model for custom, hand-crafted forged irons and wedges that has Ben Hogan Golf Equipment Company’s sales surging. Today, thanks to constant interaction with serious, committed players to better understand their equipment needs for optimal performance, the Company is offering 5- and 6- club “short sets” of the recently introduced Ben Hogan Edge irons. As part of this new program, the Company is offering four distinct Hogan Edge short sets, including: 6-iron sets (#5-PW in both right-hand and left-and models) as well as 5-iron sets (#6-PW in both right-hand and left-hand models). Direct-to-consumer pricing, less retail margin and mark-up, is $660 for the 6-piece sets ($110/club), and $575 for the 5-piece sets ($115/club). Additionally, to better serve its customers in creating custom combo sets, the Company offers its Ft. Worth Hi-Utliity club or VKTR Hybrid as long iron alternative clubs. 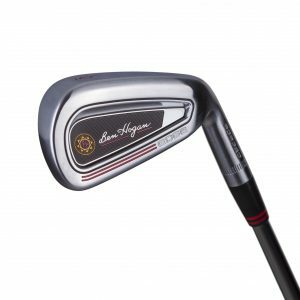 The Ben Hogan Edge short set models are the latest offering in the Company’s Factory-Direct business strategy for custom, hand-crafted forged irons and wedges that has resulted in multi-million sales growth during the past twelve months. On the heels of its year-one resurgence, and at the ongoing request of serious, committed players, the Company is now planning the roll-out of several new product lines in late 2018 and early 2019. Known primarily for producing the highest-quality, best-performing and best-feeling forged irons and wedges in the game, the Company plans to enter several new product categories shortly. The Ben Hogan Golf stable of products can be purchased exclusively at www.BenHoganGolf.com. Because the Company only sells direct to the consumer, via its website, retail markup is eliminated. As a result, tour-quality Ben Hogan Golf clubs can be purchased for nearly half of what competitive products would cost at retail. Moreover, recognizing that most golfers want to personally experience equipment before they purchase, the Company offers a simple, risk-free demo program, as well as a Trade-UP program where golfers can offset the cost of their purchase by selling used equipment back to the Ben Hogan Golf Equipment Company. The Company reports that over 70% of people that try Ben Hogan golf equipment via the Demo Program end up buying equipment. To learn more about Ben Hogan Golf, please visit www.benhogangolf.com.